Hunting is a favorite activity for a lot of Americans. The rise in popularity means an increase in the amount of people out in the wild trying to get their prized animal and with that increase, unfortunately there is a greater chance of an accident occurring. Recreational activities such as kayaking, boating, fishing, hunting and other sports-related activities are very relaxing and enjoyable. Unfortunately, accidents happen all the time. Even if you are a skilled hunter, accidents can happen to anyone. Safety should always be your top priority to help prevent injuries or even death. 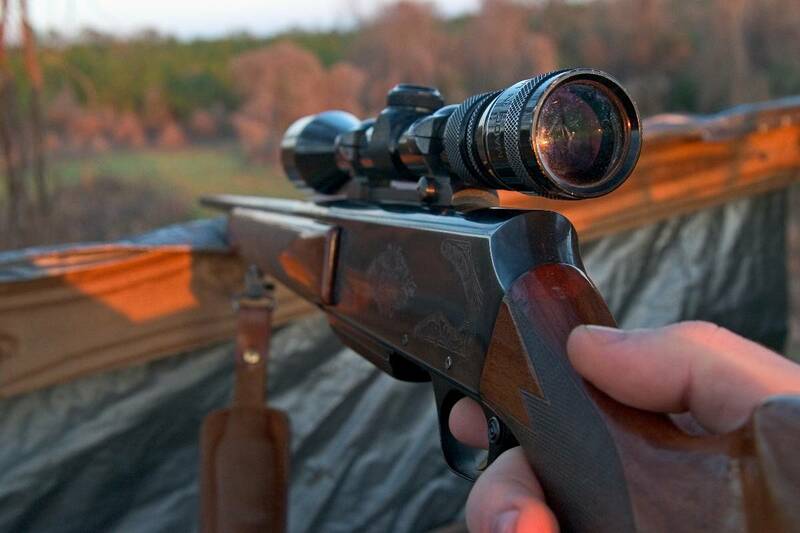 As a hunter, you need to obey all state rules and regulations every time you head into the great outdoors for a hunt. By obeying all rules and regulations, you can avoid causing a spinal injury, brain injury, death or any other serious consequence that would result from a gunshot wound. If an accident occurs during a recreational activity, the victim is usually eligible for compensation if negligence is proved to have been a contributing factor to the accident. Hospital costs and other expenses while the victim is recovering can be covered by the compensation. Every situation offers a different compensation amount and the Law Office of Gutglass, Erickson, Bonville and Larson are able to consult with you to determine the best course of action for handling a personal injury which occurred during a recreational activity. Call us today at (414) 273-1144 or use our web submission form to help you determine if you can prove negliegence in the accident and whether or not the victim is eligible to be compensated for their damages. It’s always been important to be safe while hunting. However, as the popularity of the sport increases, it becomes more and more important to work to ensure safety for yourself and those around you. The hunter needs to be extremely responsible in his hunting and be aware of their surroundings. A horrible accident could occur otherwise! An unfortunate event with the former Vice-President made the public aware of the dangers associated with hunting out in the wild and what could happen if you aren’t careful. Hopefully we see these numbers go down! I really hope that hunters know this already, but it is definitely information that they can’t hear too many times. Safety is key. Getting shot while out hunting would be absolutely horrifying. Glad to know that there is help for me should someone be at fault. Hunting is great as long as you’re using safe practices. It’s only when someone isn’t being safe that hunting accidents happen. A hunting accident would be very scary! So many things that could go wrong and more often than not you are out there by yourself or just with one other person. Definitely need to be safe! People do need to be careful when they participate in recreational activities that can seriously harm themselves and others. You can reduce the chances of being harmed if you follow all rules when hunting, but sometimes accidents happen. You can’t ever hear that enough. When doing these things, hunting, kayaking, fishing, etc. Safety is always key!! I am not a hunter but the rest of my family is, I am always afraid for their safety while they are out. Hunting can be a great activity but we have all heard of tragic accidents. Thanks for the reminder to stay safe and who to contact if something does happen. People love to hunt whether its for food or a trophy. Unfortunately, people can be very careless and accidents happen. There is protection for those who were injured though! Hunting, to me, is a dangerous sport. But if you do it correctly, you can make it home injury safe. Hunting has always seemed fun to me but once my friend came home really hurt. So I opted out of it. I’m not an outdoorsy person but this sounds like good advice. Thanks for sharing! written article. I will be sure to bookmark it and come back to read more of your useful info. The purpose of the Idaho Department of Parks and Recreation’s Boating Program is to educate the public in safe boating practices, ethics and legal requirements in order to prevent fatalities and damage relating to recreational boating accidents and to provide the necessary training for sheriff marine deputies to enforce Idaho boating laws.